The staff at Amei Teahouse were very accommodating. We arrived hours before our reservation but they let us in immediately (it wasn't a busy day). They teach you how to make the tea then you can make the rest on your own. They let you take the rest of the tea leaves home, too! The snacks partnered with the tea were perfect. I will definitely book again! Head to the quaint town of Jiufen, just an hour’s trip east of Taipei, and indulge in authentic tea with classic Taiwanese pastries, while soaking in a relaxing view of the pristine Keelung Mountain. The Amei Teahouse is the perfect place to hang out while in Jiufen! The century-old tea house draws in hundreds of visitors because it is said to be the inspiration behind the lantern-lit bathhouse in the very popular Japanese animated film “Spirited Away.” As you proceed up the wooden stairs to the entrance, you will spot several quirky-looking masks hung on the walls and figurines of the film’s characters placed on a shelf. The top floor of Amei Teahouse has an indoor area as well as an outdoor area where you can request for a window seat to get unparalleled views. Most of the staff can converse in Chinese and in basic English, Japanese, and Korean so you can be assisted properly. 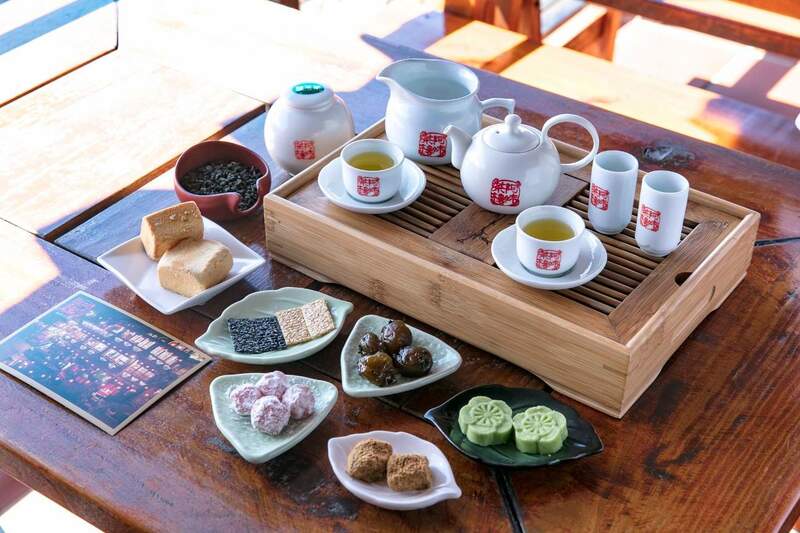 You will be served a standard tea set that includes a pot of oolong tea plus yummy local snacks like pineapple pastry, mung bean cake, tea plum, milk plum, brown sugar mochi, and sesame flakes. 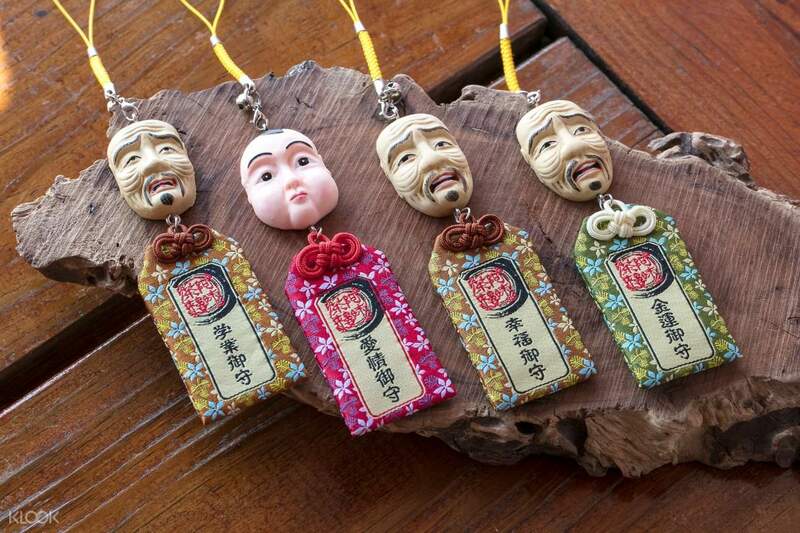 You even get a discount if you want to buy more snacks or bring home "Spirited Away" charms! Since it's very commercialized, there were so many people. At my reservation time, 4pm, there was a long queue that taking a photo at the entrance was impossible. If there had been a staff downstairs who can speak English and direct people with reservation, we could've avoided stares of people in line. Anyway, the servers are amazing. They can speak some English and they are very accommodating. Since it's very commercialized, there were so many people. At my reservation time, 4pm, there was a long queue that taking a photo at the entrance was impossible. If there had been a staff downstairs who can speak English and direct people with reservation, we could've avoided stares of people in line. Anyway, the servers are amazing. They can speak some English and they are very accommodating. We booked the Shifen-jiufen-keelung klook tour for a Thursday and was pleasantly surprised that Jiufen was not as crowded as expected and we could take good photos of this teahouse. there was no queue that day, we simply walked in and presented this voucher. We requested for a view and they showed us to the 2nd floor where we could sit by the balcony and enjoy the sun and sights. the tea was lovely- mountain oolong- and there was someone to show us how to prepare the tea, from washing the utensils, how much tea leaves to use, to how long to let it brew, etc. the snacks were in good variety, and were good and tasty too (especially the prunes). we couldn't finish the tea leaves, and requested to pack them in a small resealable bag to take away. they also presentes us with postcards of the teahouse. I recommend this voucher, if not to skip the queue, but for the simplicity of use- we didn't need to pay any extras, we just showed it once at the door and that was it, we literally just walked out when we were done. all fuss free. very happy. We booked the Shifen-jiufen-keelung klook tour for a Thursday and was pleasantly surprised that Jiufen was not as crowded as expected and we could take good photos of this teahouse. there was no queue that day, we simply walked in and presented this voucher. We requested for a view and they showed us to the 2nd floor where we could sit by the balcony and enjoy the sun and sights. the tea was lovely- mountain oolong- and there was someone to show us how to prepare the tea, from washing the utensils, how much tea leaves to use, to how long to let it brew, etc. the snacks were in good variety, and were good and tasty too (especially the prunes). we couldn't finish the tea leaves, and requested to pack them in a small resealable bag to take away. 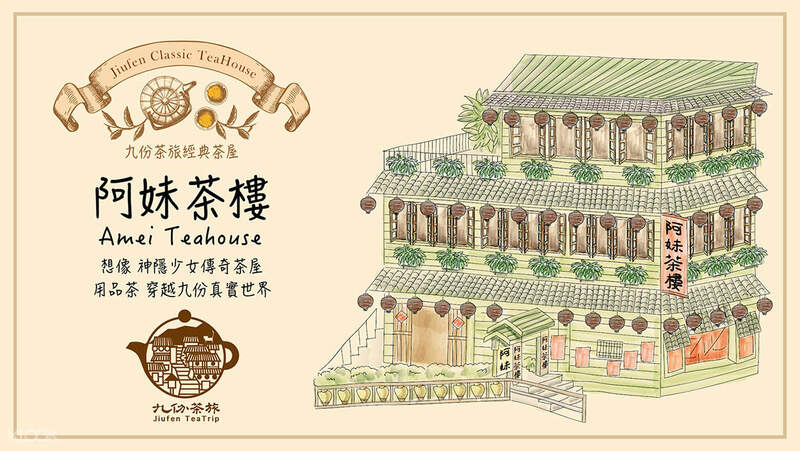 they also presentes us with postcards of the teahouse. I recommend this voucher, if not to skip the queue, but for the simplicity of use- we didn't need to pay any extras, we just showed it once at the door and that was it, we literally just walked out when we were done. all fuss free. very happy. Great experience. Beautiful scenery. Tasty food. Make sure to take a lot of photos when they turn on the lanterns. Savor the green tea, be sure to record it as well, the way they do it has an art to it. Great experience. Beautiful scenery. Tasty food. Make sure to take a lot of photos when they turn on the lanterns. Savor the green tea, be sure to record it as well, the way they do it has an art to it. Fantastic! View took my breath away. There was no queue on a weekday at 4pm. Upon arrival, we were ushered in - able to choose to sit indoor or outdoor. Snacks was good, we even bought some to bring back! A pity we went at 4pm and sunset is at 6pm +. I would recommend to go/book around sunset time as the view is really awesome! Fantastic! View took my breath away. There was no queue on a weekday at 4pm. Upon arrival, we were ushered in - able to choose to sit indoor or outdoor. Snacks was good, we even bought some to bring back! A pity we went at 4pm and sunset is at 6pm +. I would recommend to go/book around sunset time as the view is really awesome! The snacks and tea served were reaaaaally good. The activity was a unique and memorable experience to all of us. The snacks and tea served were reaaaaally good. The activity was a unique and memorable experience to all of us. the tea is good and match very nicely with the snacks that comes with it. enjoying the tea with snacks together with the cooling wind looking towards the sea direction. the atmosphere is good for a chillax with friends. hope we could have spend more time there. went during the lunch hour and there were no crowd. my friends and i could even choose where we want to sit at. the waitress lady was very kind to teach us how to brew the tea. it was a nice experience. the tea is good and match very nicely with the snacks that comes with it. enjoying the tea with snacks together with the cooling wind looking towards the sea direction. the atmosphere is good for a chillax with friends. hope we could have spend more time there. went during the lunch hour and there were no crowd. my friends and i could even choose where we want to sit at. the waitress lady was very kind to teach us how to brew the tea. it was a nice experience. Easy to Dine in. We just showed our qr code then they gave us a table. It's quite expensive for a simple snack. The snack is delicious but the serving portion is too small. It's a good experience anyway. Easy to Dine in. We just showed our qr code then they gave us a table. It's quite expensive for a simple snack. The snack is delicious but the serving portion is too small. It's a good experience anyway.